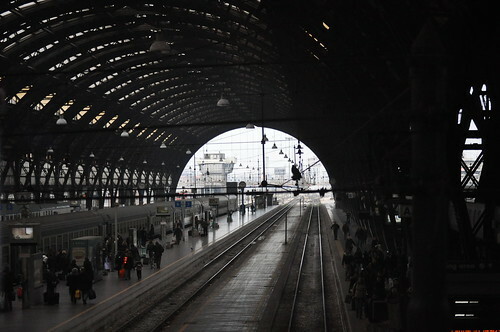 Milano Centrale, originally uploaded by the real Caffeamore. 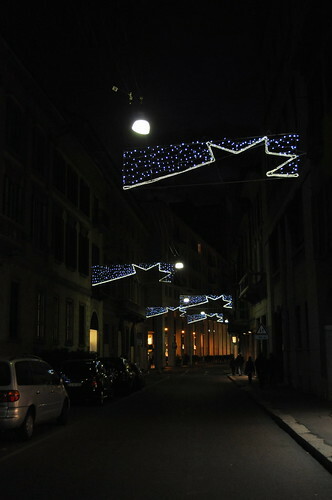 This was a beautiful weekend in Milano: altough the weather was not very friendly (just a few degrees above zero and a constant wind), the atmosphere with the christmas decorations, as can be seen below, was great. And to add to that, there’ s the italian STILE DI VITA, which entails good food, coffee, great architecture and culture (for instance, the TEATRO LA SCALA is one of the most acclaimed in the whole world). I think the old trams have much more charm than the new ones, and I loved seeing them in action still. 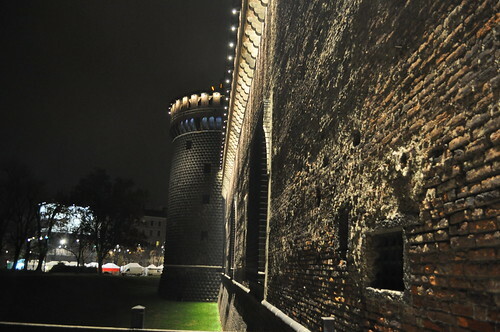 This is the wall and tower of the Castello Sforzesco. 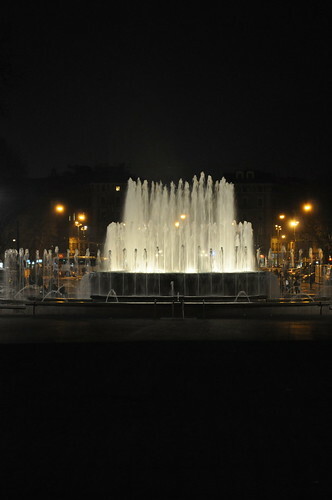 Below you see the fountain in front of it. 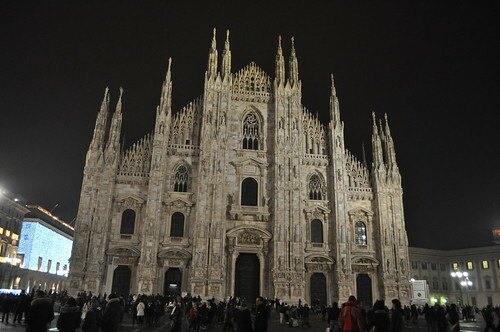 Finally, here is the famous Duomo of Milan by night (front). 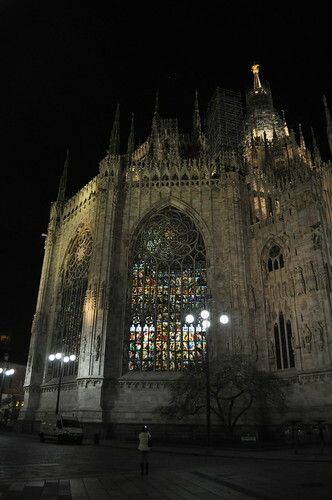 And here’ s the back side of the Duomo. Unfortunately, there’ s a huge Ad poster on one side, I don’ t mean to advertise anything other than the beautiful architecture of the Dome. 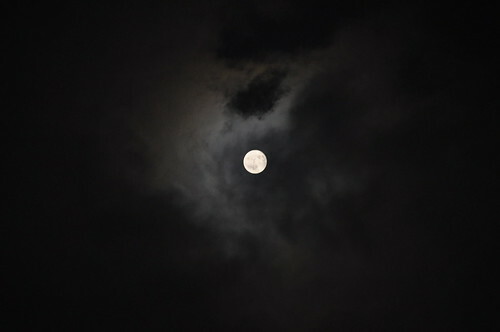 That’ s why I chose to cut the part with the Ad off. Look at those windows: they’ re breathtaking! 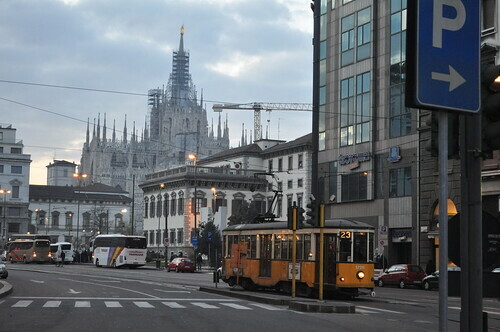 What can you recommend in Milan? Do you like the architecture, food, culture or shopping best? Please comment below.